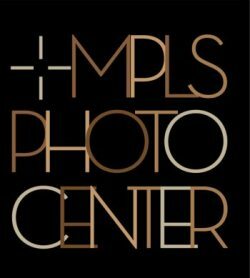 Copyright: artists who are accepted grant Mpls Photo Center the right to use their images for the purpose of marketing of the exhibition, publication of the exhibition book, and subsequent display on the Center's website of exhibitions. Artist's recognition is provided with any use. Home can be a residence or refuge. It can be a place that provides security, or the center from which people base their daily activities. Home can refer to a geographical area, whether it’s a, village, town, city, province or country in which you live, grew up, or feel a connection to. Home may have no physical location, instead it might relate to a mental or emotional state of refuge or comfort. Accepted Images: All images selected by juror will be exhibited throughout the Mpls Photo Center Galleries (May 10th through June 23rd, 2013) and published in an Exhibit Book for purchase. Image requirements: sRGB or RGB color space; 72 ppi resolution; flatten layers, 8 bit JPEG files with compression level 8 (medium); sized to 1,280 pixels on the longest side. Online submission of digital photographs via the website. For the convenience of those not living in Minnesota we offer optional fine art printing and framing services at an additional cost to the photographer.